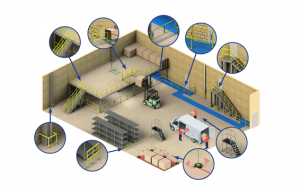 Moving heavy pallets between levels in warehouses and worksites is often a necessity for stocking, ordering and saving space. During this process, it is important to maintain safe working standards and practices. Kee Pallet Gates provide permanent protection from hazards when moving goods between different working levels, providing protection for any opening where material and pallet access is required. 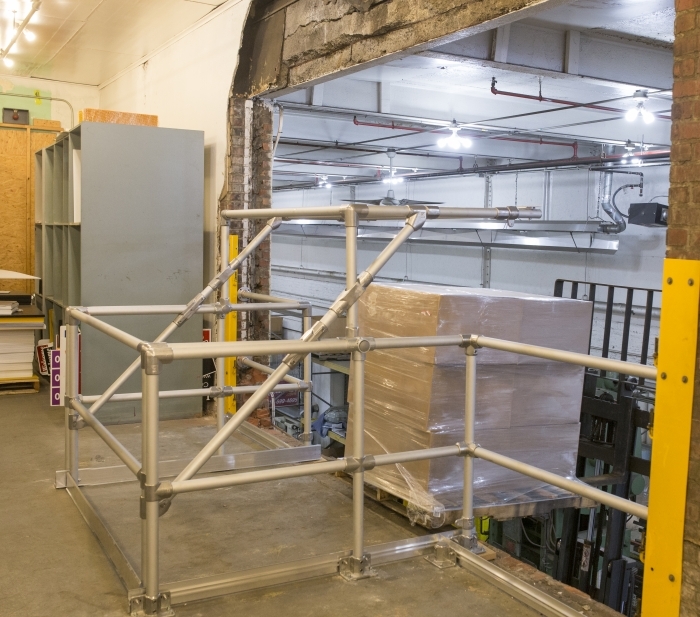 Kee Safety Pallet Gates are designed to provide a “retro-fit” solution ensuring that the pallet gate works in conjunction with your existing railing.It can accommodate openings up to 8 feet wide and accommodate a 9 foot depth. The bearings along the pallet gate rails allow a smooth pivot action ensuring a balanced and positive open and close action. The standard size provides excellent load width and depth while also offering 6 ’6” of head clearance. Three alternate configurations to provide flexibility whether you require extra width, depth or a combination of both, all while providing the same 6’ 6” head clearance. All four configurations can be built from either aluminum Kee Lite or galvanized steel Kee Klamp components with optional toe-board mounted on all sides for added safety. Custom sizes and configurations are available upon request. Contact Kee Safety for further information.